We are proud to be a Certified Lead-Safe Firm by the Environmental Protection Agency (EPA). The Lead-Safe Certified Firm Logo identifies Arch Painting as certified under the Renovation, Repair, and Painting (RRP) Rule. Additionally, we are a licensed Massachusetts Lead-Safe Renovation Contractor. This means we take every precaution when dealing with products or environments that may contain lead, and ensure that our crews, our clients, and the environment are all safe and protected. 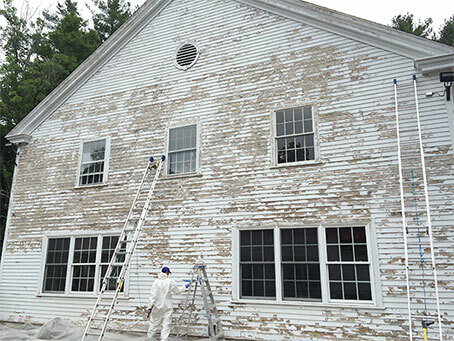 We have years of experience dealing with all types of lead paint, and know how to properly handle materials and equipment. Learn more about lead at www.epa.gov/lead.